Despite numerous accomplishments, awards, and philanthropic endeavors, William Park is unfailingly gracious and humble about his achievements. The Charlottesville, Virginia, resident is president of Pinnacle Construction and Development Corp., a company known for its 28-year commitment to providing quality, affordable housing to the elderly and to underserved residents in rural Virginia. 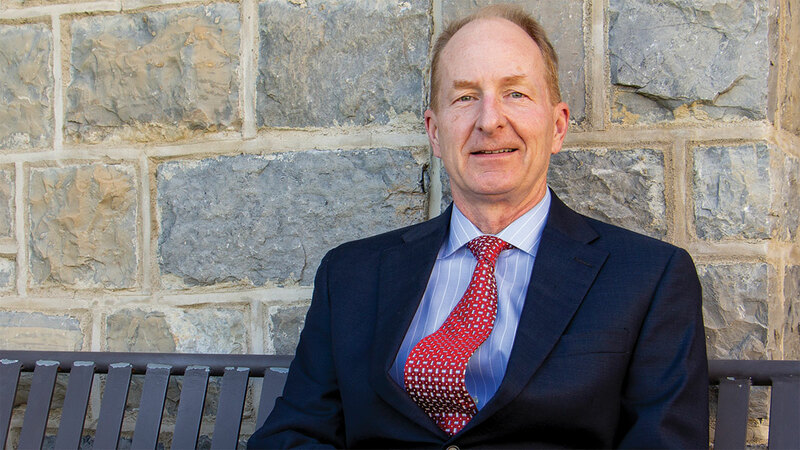 He is also an active, visionary alumnus who proposed that Virginia Tech combine CALS's assets with five other colleges to create an academic program addressing all elements of real estate development. Since the Program in Real Estate's inception, Park has served as the first chair of the Industry Advisory Board, mentoring student interns and providing endowments to enhance the quality of the program. The real estate major, now in its fifth year, has nearly 200 students and continues to grow. Last spring, Park earned the Department of Agricultural and Applied Economics Distinguished Alumni Award. How did you become interested in helping the elderly and other underserved populations find affordable housing? Our first project was the rehabilitation of the elementary school that my brother and I attended. In prior years, it had served as the high school for my mother and father. We were able to have the building included on the National Register of Historic Places while converting it into 26 affordable units for the elderly. It was very rewarding to save a building that was the focal point of the community while providing much-needed housing to an underserved segment of the population. How do you remember your college years? Overall, a great experience. Growing up in a rural area, I was fascinated to meet people from all over the world. I made many lifelong friends and met my wife, who is also a Hokie. I worked hard and played hard. I would not trade my six years on campus for anything. Where did you spend your time on campus? I should probably say in the library studying, but that would be a stretch. I must admit that I spent a lot of time in the gym and on the softball fields — also at the barns as I was on the livestock judging team. Commodity futures with Wayne Purcell, Alumni Distinguished Professor Emeritus of Agricultural and Applied Economics. What do you love most about the college? What music, movies, and/or books do you enjoy? I'm still a country and rock guy. I enjoy any type of spy movie. Currently, I'm reading several books, including "The Presidents and the Pastime" by Curt Smith. Don't limit yourself. There are so many opportunities out there. Put down your iPhone, and pay attention to what is going on around you. Get involved, and make lasting friendships. You will probably never again be in a place with this many people your own age. Regarding Virginia Tech, the real estate program. Overall, just the opportunities that we have in this country.